PongBoss grants you a non-exclusive, non-transferable, revocable license to access and use our Website in order for you to make purchases of electronic documents and related services through our Website, strictly in accordance with our Legal Terms. Unless otherwise noted, all materials including without limitation, logos, brand names, images, designs, photographs, video clips and written and other materials that appear as part of our Website are copyrights, trademarks, service marks, trade dress and/or other intellectual property whether registered or unregistered (“Intellectual Property”) owned, controlled or licensed by PongBoss. Our Website as a whole is protected by copyright and trade dress. Nothing on our Website should be construed as granting, by implication, estoppel or otherwise, any license or right to use any Intellectual Property displayed or used on our Website, without the prior written permission of the Intellectual Property owner. 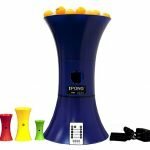 PongBoss aggressively enforces its intellectual property rights to the fullest extent of the law. The names and logos of PongBoss, may not be used in any way, including in advertising or publicity pertaining to distribution of materials on our Website, without prior, written permission from PongBoss. PongBoss prohibits use of any logo of PongBoss or any of its affiliates as part of a link to or from any Website unless PongBoss approves such link in advance and in writing. Fair use of PongBoss’s Intellectual Property requires proper acknowledgment. Other product and company names mentioned in our Website may be the Intellectual Property of their respective owners. Our Website may contain links to Websites owned or operated by parties other than PongBoss. Such links are provided for your reference only. 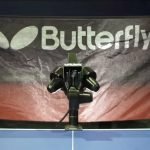 PongBoss does not monitor or control outside Websites and is not responsible for their content. PongBoss’s inclusion of links to an outside Website does not imply any endorsement of the material on our Website or, unless expressly disclosed otherwise, any sponsorship, affiliation or association with its owner, operator or sponsor, nor does PongBoss’ inclusion of the links imply that PongBoss is authorized to use any trade name, trademark, logo, legal or official seal, or copyrighted symbol that may be reflected in the linked Website. 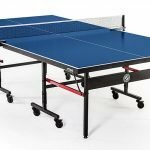 Postings on our Website are made at such times as PongBoss determines in its discretion. You should not assume that the information contained on our Website has been updated or otherwise contains current information. PongBoss does not review past postings to determine whether they remain accurate and information contained in such postings may have been superseded. THE INFORMATION AND MATERIALS IN OUR WEBSITE ARE PROVIDED FOR YOUR REVIEW IN ACCORDANCE WITH THE NOTICES, TERMS AND CONDITIONS SET FORTH HEREIN. THESE MATERIALS ARE NOT GUARANTEED OR REPRESENTED TO BE COMPLETE, CORRECT OR UP TO DATE. THESE MATERIALS MAY BE CHANGED FROM TIME TO TIME WITHOUT NOTICE. 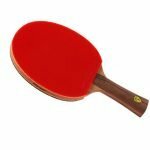 OUR WEBSITE IS OPERATED BY PongBoss ON AN “AS IS,” “AS AVAILABLE” BASIS, WITHOUT REPRESENTATIONS OR WARRANTIES OF ANY KIND. TO THE FULLEST EXTENT PERMITTED BY LAW, PongBoss SPECIFICALLY DISCLAIMS ALL WARRANTIES AND CONDITIONS OF ANY KIND, INCLUDING ALL IMPLIED WARRANTIES AND CONDITIONS OF MERCHANTABILITY, FITNESS FOR A PARTICULAR PURPOSE, TITLE AND NONINFRINGEMENT FOR OUR WEBSITE AND ANY CONTRACTS AND SERVICES YOU PURCHASE THROUGH IT. PongBoss SHALL NOT HAVE ANY LIABILITY OR RESPONSIBILITY FOR ANY ERRORS OR OMISSIONS IN THE CONTENT OF OUR WEBSITE, FOR CONTRACTS OR SERVICES SOLD THROUGH OUR WEBSITE, FOR YOUR ACTION OR INACTION IN CONNECTION WITH OUR WEBSITE OR FOR ANY DAMAGE TO YOUR COMPUTER OR DATA OR ANY OTHER DAMAGE YOU MAY INCUR IN CONNECTION WITH OUR WEBSITE. YOUR USE OF OUR WEBSITE AND ANY CONTRACTS OR SERVICES ARE AT YOUR OWN RISK. IN NO EVENT SHALL EITHER PongBoss OR THEIR AGENTS BE LIABLE FOR ANY DIRECT, INDIRECT, PUNITIVE, INCIDENTAL, SPECIAL OR CONSEQUENTIAL DAMAGES ARISING OUT OF OR IN ANY WAY CONNECTED WITH THE USE OF OUR WEBSITE, CONTRACTS AND SERVICES PURCHASED THROUGH OUR WEBSITE, THE DELAY OR INABILITY TO USE OUR WEBSITE OR OTHERWISE ARISING IN CONNECTION WITH OUR WEBSITE, CONTRACTS OR RELATED SERVICES, WHETHER BASED ON CONTRACT, TORT, STRICT LIABILITY OR OTHERWISE, EVEN IF ADVISED OF THE POSSIBILITY OF ANY SUCH DAMAGES. IN NO EVENT SHALL PongBoss’ LIABILITY FOR ANY DAMAGE CLAIM EXCEED THE AMOUNT PAID BY YOU TO PongBoss FOR THE TRANSACTION GIVING RISE TO SUCH DAMAGE CLAIM. 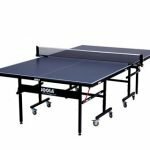 WITHOUT LIMITING THE FOREGOING, PongBoss DO NOT REPRESENT OR WARRANT THAT THE INFORMATION ON THE WEBITE IS ACCURATE, COMPLETE, RELIABLE, USEFUL, TIMELY OR CURRENT OR THAT OUR WEBSITE WILL OPERATE WITHOUT INTERRUPTION OR ERROR. YOU AGREE THAT ALL TIMES, YOU WILL LOOK TO ATTORNEYS FROM WHOM YOU PURCHASE SERVICES FOR ANY CLAIMS OF ANY NATURE, INCLUDING LOSS, DAMAGE, OR WARRANTY. PongBoss AND THEIR RESPECTIVE AFFILIATES MAKE NO REPRESENTATION OR GUARANTEES ABOUT ANY CONTRACTS AND SERVICES OFFERED THROUGH OUR WEBSITE. PongBoss MAKES NO REPRESENTATION THAT CONTENT PROVIDED ON OUR WEBSITE, CONTRACTS, OR RELATED SERVICES ARE APPLICABLE OR APPROPRIATE FOR USE IN ALL JURISDICTIONS. You agree to defend, indemnify and hold PongBoss harmless from and against any and all claims, damages, costs and expenses, including attorneys’ fees, arising from or related to your use of our Website or any Contracts or Services you purchase through it.